The directors are the shadow of a company and at the heart of its corporate governance. A company doing business in Nigeria can have either foreign or Nigerian directors, and the directors may be resident or non-resident. You must submit annual accounts and tax returns to the Federal Inland Revenue Service (FIRS). You must also file a statement of affairs or an annual return with the Corporate Affairs Commission (CAC). You risk a fine if you miss deadlines or submit incorrect information. There are a number of other statutory requirements. For example, there are obligations you must fulfill under the Companies and Allied Matters Act, Labour Act, Insurance Act, Pension Reform Act etc. An accredited Solicitor can advise you and help perfect the regulatory obligations. Foreign investors or offshore companies can hold 100% equity stake in a Nigerian company. However, a foreign company wishing to set up business operations or doing business in Nigeria should take all steps necessary to obtain incorporation of the Nigerian subsidiary as a separate entity in Nigeria for that purpose. Until so incorporated, the foreign company may not carry on business in Nigeria or exercise any of the powers of a registered company. Through a Power of Attorney, Lex Artifex LLP can assist a foreign company in the incorporation of a Nigerian subsidiary. 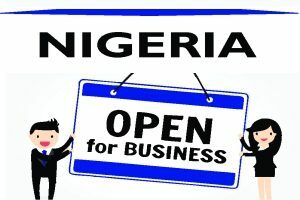 Foreign investors are treated the same as local investors under the Nigerian laws. This guide is intended to assist you in getting the summary of the regulatory considerations for doing business in Nigeria. This guide does not eliminate the need for professional advice and must not be construed as a substitute for legal guidance. The omission of any matter in this guide will not relieve you from any penalty incurred by failing to comply with the statutory obligations of relevant laws. Whether you are just starting up, expanding your activities, or looking to doing buisness in Nigeria, it is strongly recommended that you use professional advisors to help you with the legal, tax and regulatory complexities. Lex Artifex, LLP. can get you started through every step of the investment process.